In September 2012, the Foundation, the Tolland Public Library Advisory Board and the Friends of the Tolland Public Library held an open house to celebrate renovations to the library. 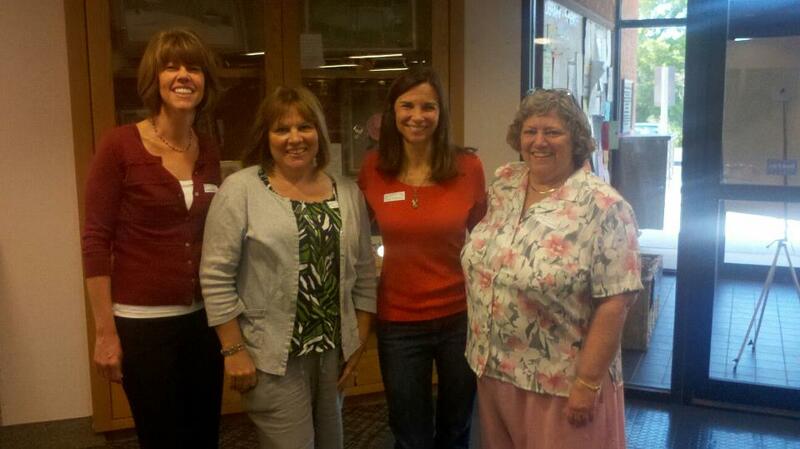 The event also welcomed library director Barbara Pettijohn to Tolland. On Sept. 22, 2012, residents explored the newly renovated Tolland Public Library at an open house that featured poetry readings, children’s activities, musical performances and demonstrations of library services. The event, held from 11 a.m. to 2:30 p.m. at the library at 21 Tolland Green, also gave the public a chance to meet Library Director Barbara Pettijohn, who assumed the post just after renovations began in October 2011. The town spent $396,215 from its capital budget to replace a skylight and roof that had leaked for years. The renovations, which were part of a larger geothermal project at the Hicks Municipal Center, have made for a more attractive and comfortable library, better air quality, energy savings and better protection of library materials, Pettijohn said. The project also included construction of a new parking lot and better lighting for library patrons and town hall visitors. Pettijohn thanked the town employees who brought the project to fruition and the patrons and library staff for their patience and flexibility during the months-long project. “We are grateful for our improved surroundings and the feeling of security that a heavy rainstorm will not damage our materials and the building interior,’’ Pettijohn said. 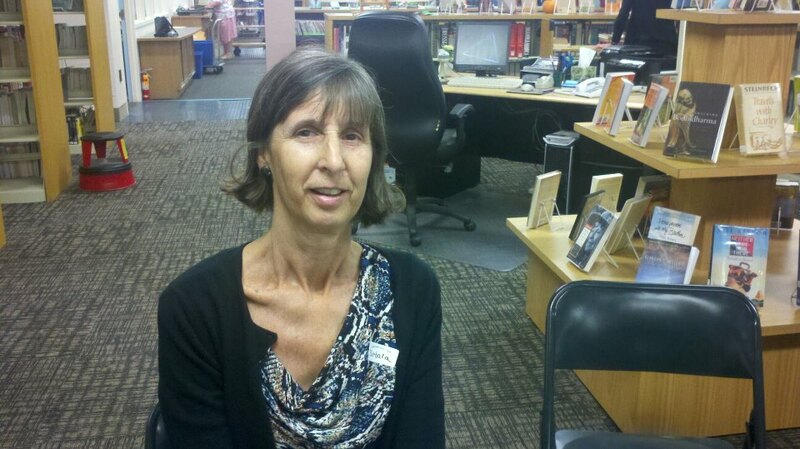 Pettijohn began work Nov. 14, 2011 in Tolland after nearly a decade of service at the Manchester Public Library. Most recently, she served as Head of Reference and Adult Services in Manchester. The library staff joined forces with the Friends of the Tolland Public Library, the Tolland Library Board and the Tolland Public Library Foundation to hold the fun-filled open house. The Friends presented performances by “The Country Duo” at 11 a.m. and Irish fiddler Brian Russell at 12:30 p.m.
Pettijohn and officials from the three civic groups welcomed the public at 11:45 a.m., and Foundation officials will present a gift to former library director Barbara Butler at noon. Refreshments followed, and a slideshow of library events, produced by Tolland High School student Jackson Haigis, ran continuously in the Program Room from 12:30 p.m. to 2:30 p.m.
From 1 p.m. to 2:30 p.m., a variety of events were held for patrons of all ages. They included face painting and a craft project for children and demonstrations of e-readers, Ancestry.com, ConsumerReports.com and a new multimedia center purchased last fall with a grant from the Foundation. From 1 p.m. to 1:45 p.m., children and young adults tried out education software bought in the past year with a grant as part of the Foundation’s “Year of the Young Adult” initiative. 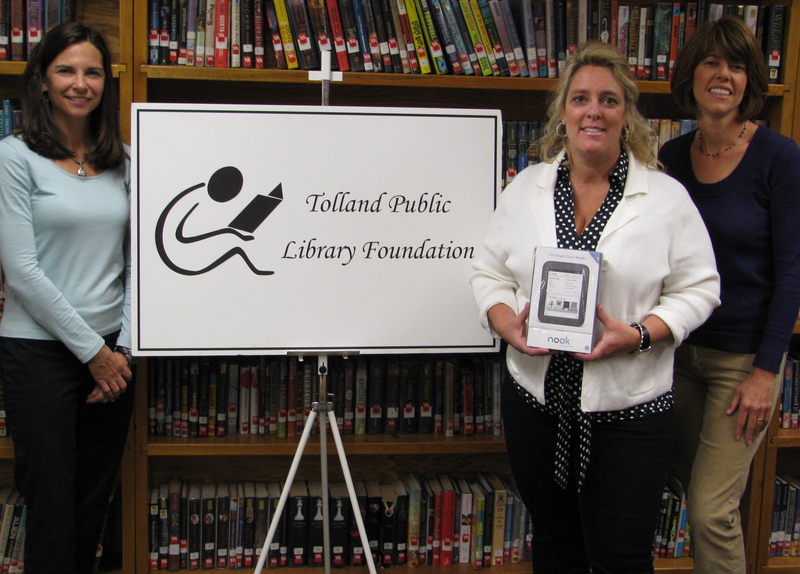 At the end of the open house, the Foundation drew Kathy Bujese’s name as the winner of a Nook e-reader.